Super Valuable DIY FYI! Thanks a bunch. 1. Turn the ignition swich OFF. 2. Press and hold the tilt switch, and turn the ignition switch ON. 3. Release the tilt switch, and turn the ignition switch OFF. 4. Repeat steps 2 and 3 four times. 5. Press and hold the moonroof open switch for 3 additional seconds after the moonroof is fully opened. 6. Press and hold the moonroof close switch for 3 additional seconds after the moonroof is fully closed (tilted). 7. Confirm that the moonroof control unit is reset by using the moonroof AUTO OPEN and AUTO CLOSE feature. Dude that is crazy and way to long. I dont know where you got those 20 extra steps from, but they arent needed. Doesn't it disable it if you hold it while the auto-close/open is functional? Mine has never messed up on me in nearly 2 years and I never hold it, I just touch. I need help...my moonroof doesn't work at all. I installed my K2 Foglights and now my moonroof isn't working. I took the fuse out from the passenger window slot and put it in the foglight spot because I didn't have an extra fuse when i installed the fogs. So, now the fogs work but the moonroof doesn't work at all for some reason. I tried switching the moonroof and fog fuses to see if i blew the moonroof fuse somehow, but I didn't because the fogs still worked after that and the moonroof still doesn't. Does anybody have any ideas??? 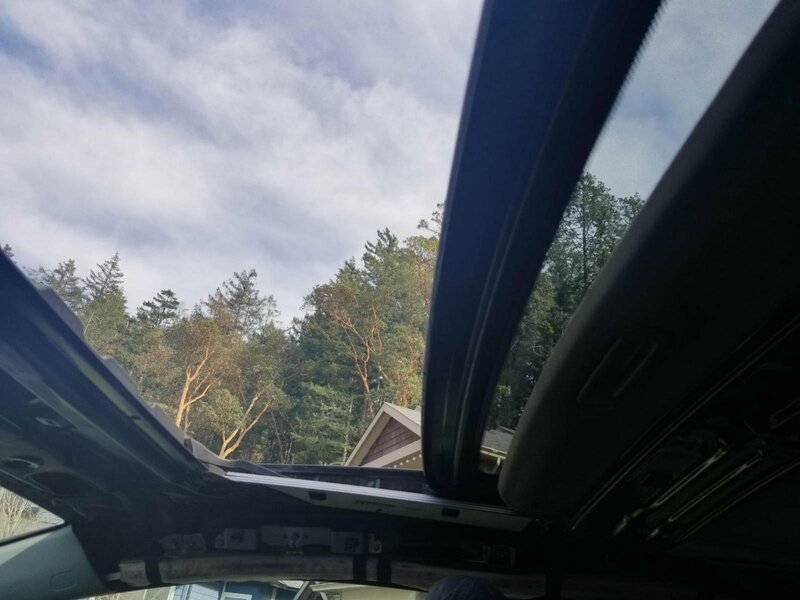 I LOVE my one-touch auto open feature on my moonroof and it stopped working while my boyfriend and I were on holidays on Vancouver Island! He will be so releived to find out that he didn't break it! I am printing this thread and putting it in my owners manual! Last edited by Granite; 08-07-2009 at 08:30 AM. Just bought a 06 ex the seller told me about the sunroof problem. I saw your post and tried it now it works stops in the closed position and not in the rear tilt position. Tried to follow the instructions here on my 2009 CSX and no luck. Problem is, in addition to the one touch not working, when I try to open the moon roof, it only opens an inch at a time. I have to release the button and press it again. It'll move another inch. I have to keep doing this until the moon roof is fully opened. Repeat the process to close. Any ideas? I know this is a super old thread, but Thanks! Worked perfect. I was kinda dumbfounded too as it just stopped working out of no where..
thank you a lot for those info, but honda doesn't have a middle solution ??? so if i don't want it to open automatically , i have to always manually adjust that sunroof so it won't leak water inside? I had to get a refurbished sunroof motor for my 2006 Honda Civic EX coupe 1.8 L and after I installed it it doesn't go back all the way about 3/4 and when I hit the close button it goes back open,I have to manually push the button to close it how can I fix this?